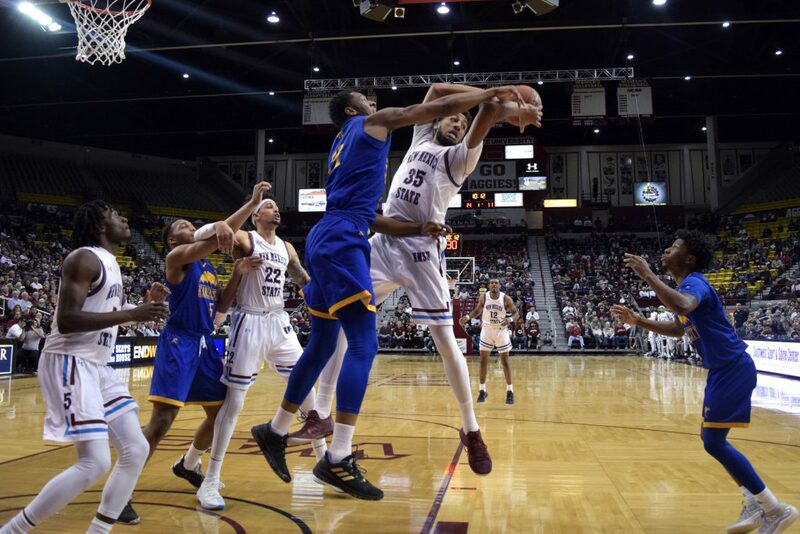 After three straight games on the road, the Aggies were ready to get back home and give their fans something to cheer about from inside the Pan American Center. Back on home territory, the men’s basketball team defeated University of Missouri-Kansas City and Chicago State this week to earn a seven-game winning streak. 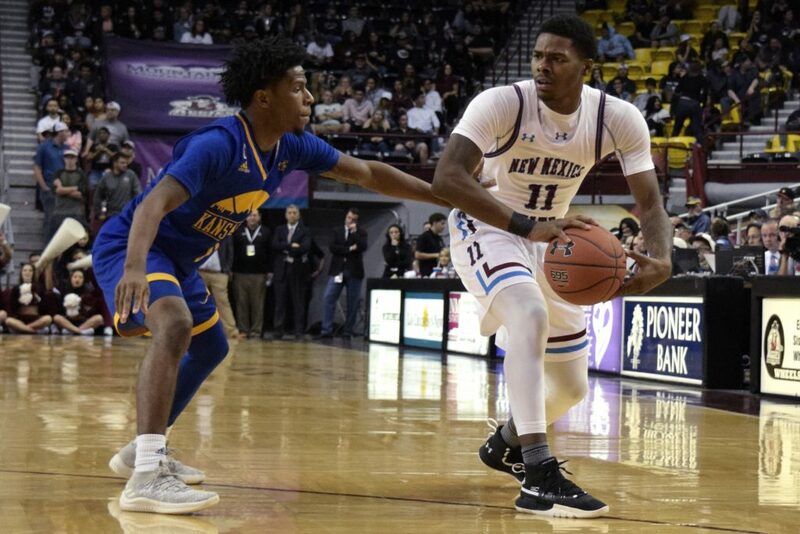 On Thursday, New Mexico State welcomed the UMKC Kangaroos to Las Cruces. The Aggies got off to a hot start. 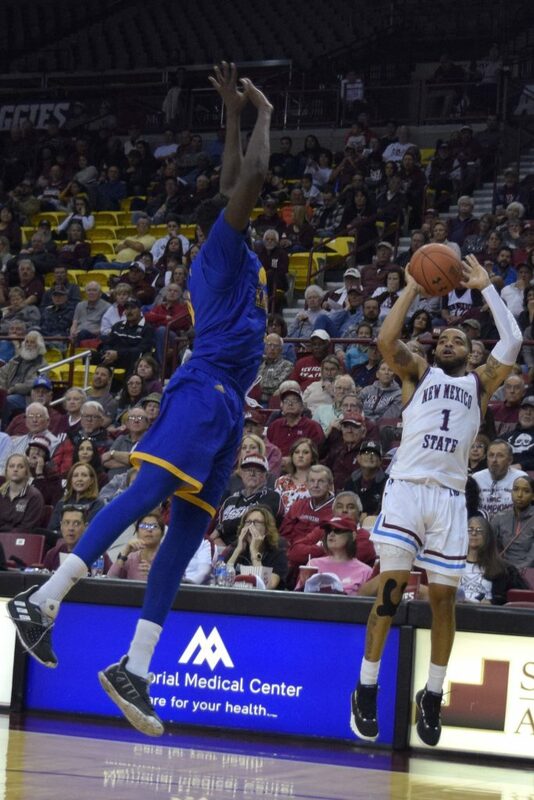 NMSU held UMKC scoreless for the first three minutes of the game, jumping out to a 7-0 lead. After trading field goals for the rest of the first half, the Aggies were able to increase their lead to 11. 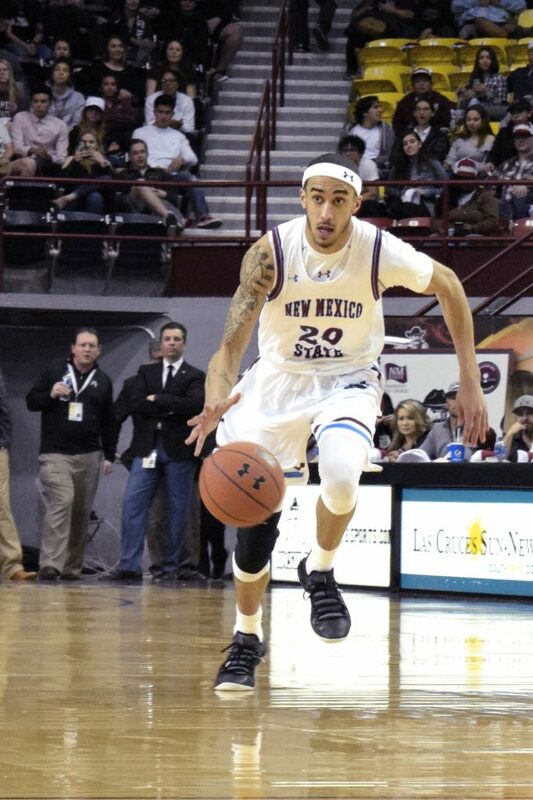 As the buzzer sounded to end the half, NMSU’s Shunn Buchanan sunk a half-court shot after stealing the inbound pass. 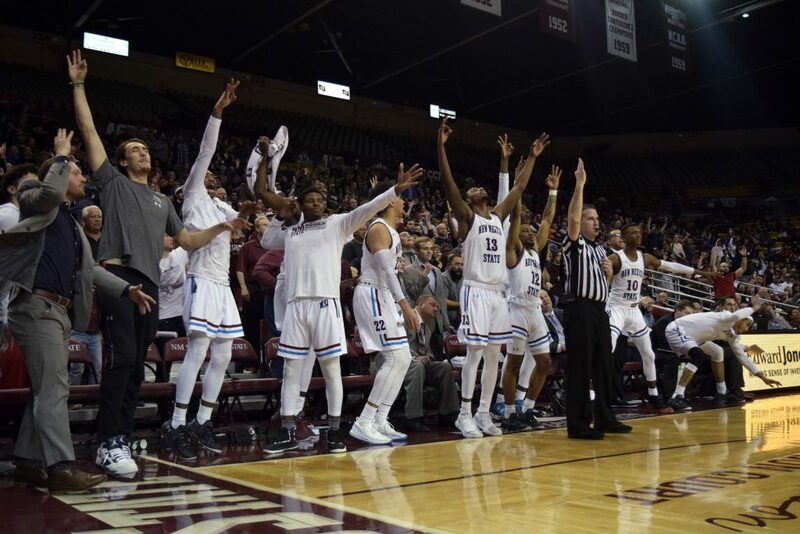 Unfortunately for the Aggies, Buchanan let it go just after the buzzer sounded. New Mexico State took a 30-22 lead heading into the halftime break. The second half of the game started with back-and-forth buckets between the Aggies and the Kangaroos. 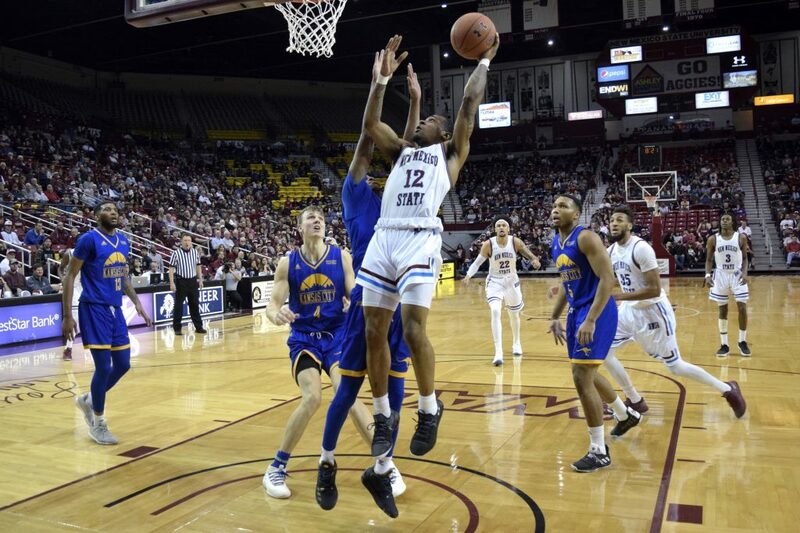 Around the 13-minute mark, Aggie Johnny McCants nailed a three-pointer and followed it up with a three with a monster jam to bring the Aggies ahead 44-30. 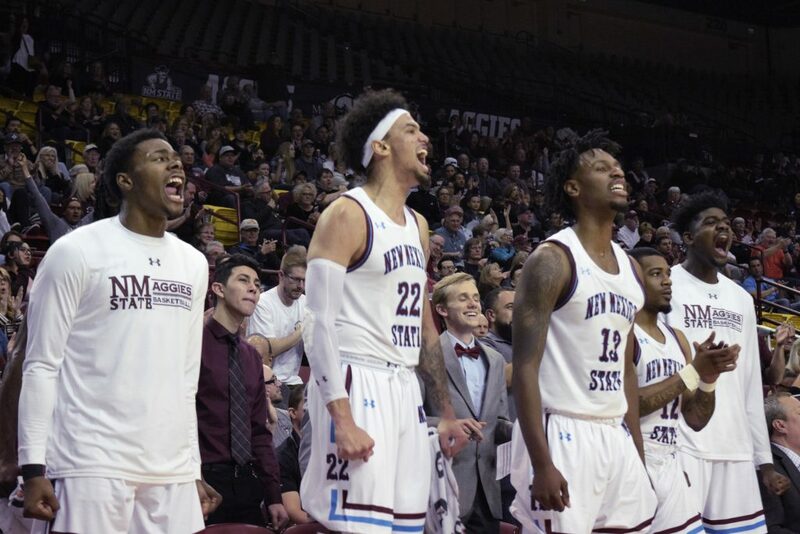 New Mexico State never looked back and never surrendered its lead, ending the game with a 70-54 win. 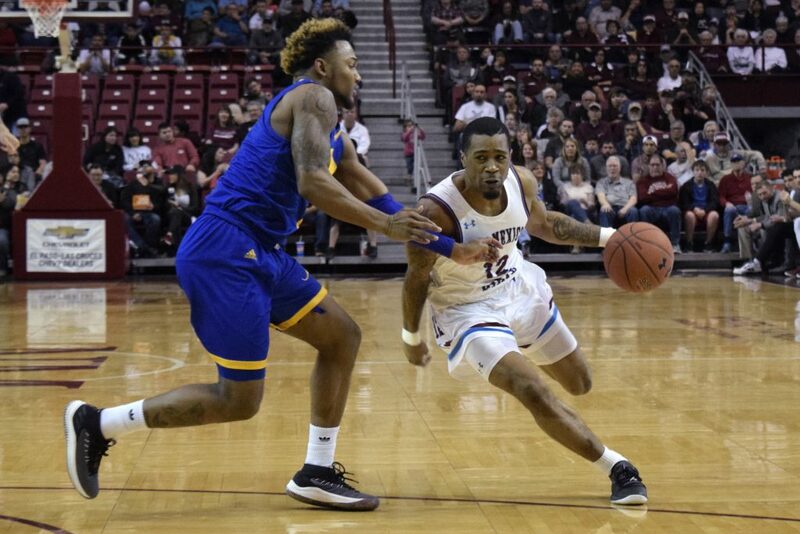 The Aggie point guards brought their handles to this game as AJ Harris and Shunn Buchanan put some of the Kangaroo defenders on skates on multiple occasions. Terrell Brown finished with a team-high 15 points with Henry Clayton and Eli Chuha behind him with nine points each. Chuha also finished the game leading the team with six rebounds. The Aggies then welcomed the Chicago State Cougars to the Pan American Center on Saturday. 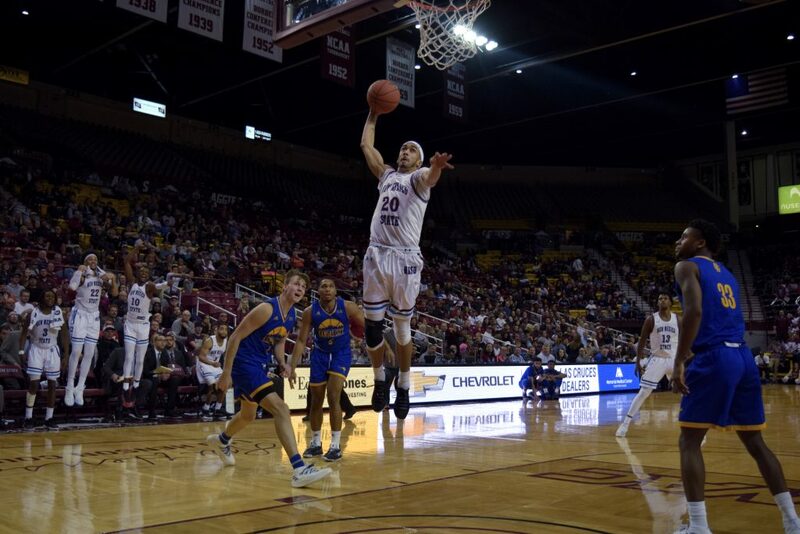 Going into the media halftime break, Clayton Henry and AJ Harris gave New Mexico State an 11-3 lead over the Cougars. 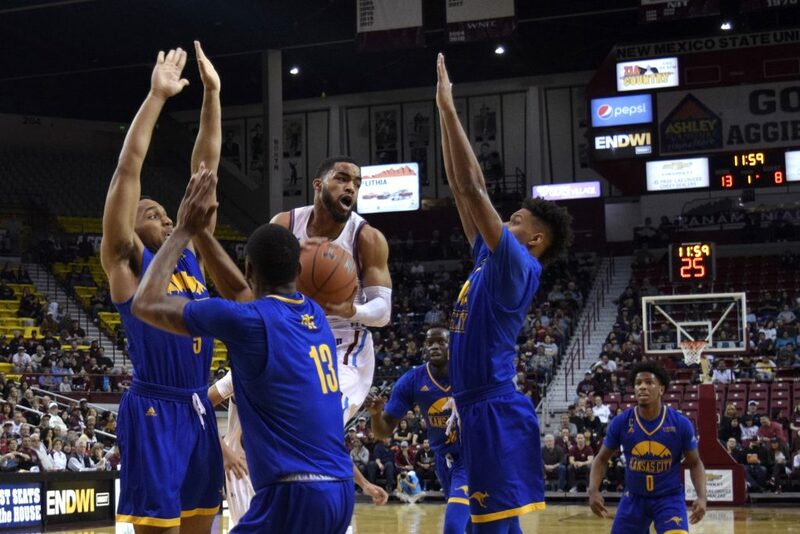 New Mexico State shot the ball great from deep, going 50 percent from beyond the arc in the first half. The splendid shooting from the Aggies gave them a 46-21 lead over the Cougars going into the break. The second half was much of the same. 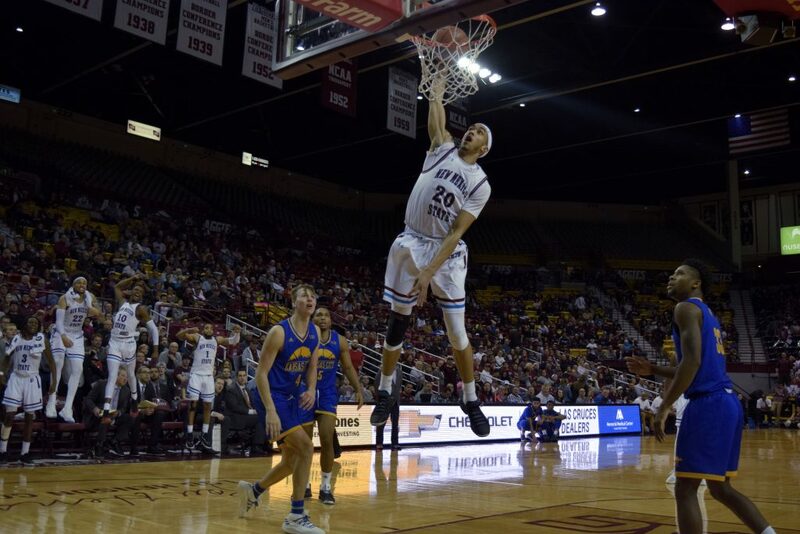 New Mexico dominated the entire game and won their seventh consecutive game 83-39. For the second straight game, Terrell Brown led the team in points, scoring 19 total. This was the first game in over four years that the Aggies held their opponent to under 40 points. The last time the Aggies accomplished this was in December of 2014 against Utah Valley. 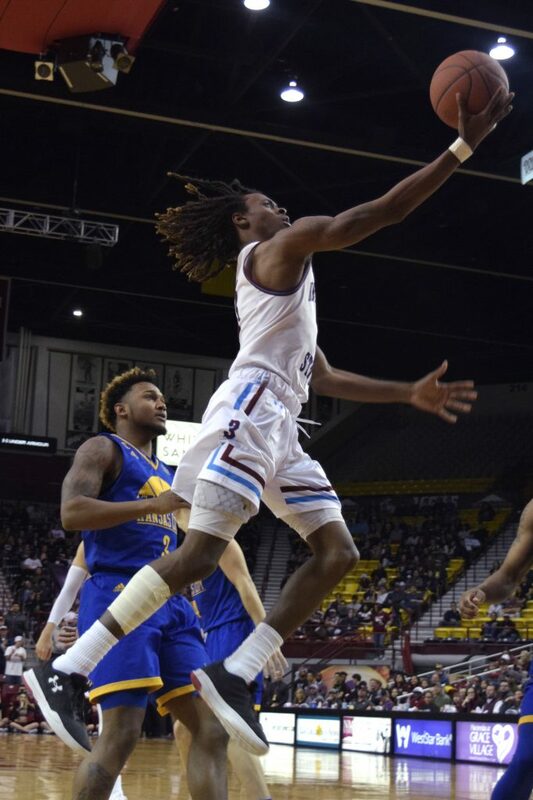 The Aggies hit the road again for a couple critical games against Cal State University, Bakersfield and Arizona’s Grand Canyon University. The game against CSU, Bakersfield will be on Feb. 7, and the revenge game against Grand Canyon will be on Feb. 9. Both games are set to tip off at 7 p.m.